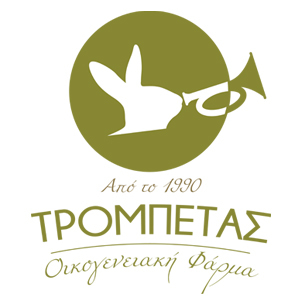 FARMA TROBETAS was created in 1991 at Megara by Andreas and Rania Trobetas. FARMA TROBETAS has managed to have the appropriate expertise and experience required, as well as the possibility of vertical production of rabbit products, to ensure high quality. Aiming high quality, the Trobetas family from the the starting point, has developed systematic cooperation with foreign firms that are experts in the field of rabbit. Since 1992 the company collaborates with breeding companies from Italy, from 1999 works with the CIA Italy that manufactures hutch equipment, since 2007 collaborates with Eurolap Hyla France, from where the reproductive material is supplied and since 2008 collaborates with Sun Company Italy from where it obtains feed (chow). FARMA TROBETAS activates in the following areas: In the production of fresh or fresh frozen rabbit from our modern warren in South, Daphne Megara. In rabbit meat marketing (super markets, delicatessen, butchers, restaurants, etc.) in merchandise hutch equipment, and in merchandise at ancestral breeding rabbits and in units design.